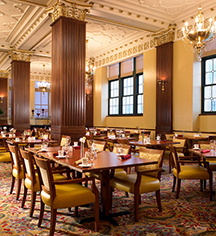 The Walnut Room was beautifully restored to the 1940's with the original stained glass windows and rich wood columns. 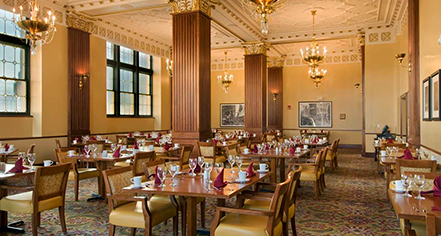 Offering breakfast daily and American cuisine with a healthy choice menu, it is also the ideal setting for private business or social events. Daily: 6:00 a.m. - 11:00 a.m.